The Brontes of Haworth explores the lives of one of the most accomplished literary families in history -- the Bronte sisters. Charlotte Bronte is best known for the novel, Jane Eyre, first published in 1847. The book has remained in print ever since, and has been adapted for the screen dozens of times. Sister Emily’s Wuthering Heights was published that same year, and although it did not initially receive the acclaim that Jane Eyre did, it too has come to be regarded as a masterpiece. Wuthering Heights has also been adapted many, many times for the screen, most notably the 1939 film starring Sir Laurence Olivier, which was nominated for an Academy Award as Best Picture that year. As brilliant as these books are, the lives of the Bronte family is an incredible story in of itself. The new Acorn Media two-DVD set The Brontes of Haworth presents the British five-episode mini-series in its entirety for the first time in the United States. As hard as it might be to believe, this 1973 mini-series never aired on Masterpiece Theater, or any other television outlet for that matter in all this time. It has certainly been our loss. The Brits excel at this type of “costume drama,” and the tale is incredible. The five episodes are “The Little King,” “Home and Abroad,” “Delusion’s Song,” “Rewarding Destiny,” and “Silent Is the House.” All were written by acclaimed poet and playwright Christopher Fry. The Brontes of Haworth also happens to be one of Michael Kitchen’s very early roles. Kitchen portrays the male brother Branwell, who has difficulty in adapting to life outside of the close-knit family. The Bronte family patriarch is the Reverend Patrick Bronte. Besides Branwell, and the famous Emily and Charlotte, the family also includes sister Anne, and of course their mother, Maria. The loss of Maria at the young age of 38 was the first serious blow the family suffered. There was much more to come. In fact, one could argue that the term “gothic” was invented to describe this family. The main bonus feature is a fascinating piece about the Bronte’s home in Haworth, which is now the Bronte Parsonage Museum - and attracts thousands of visitors each year. 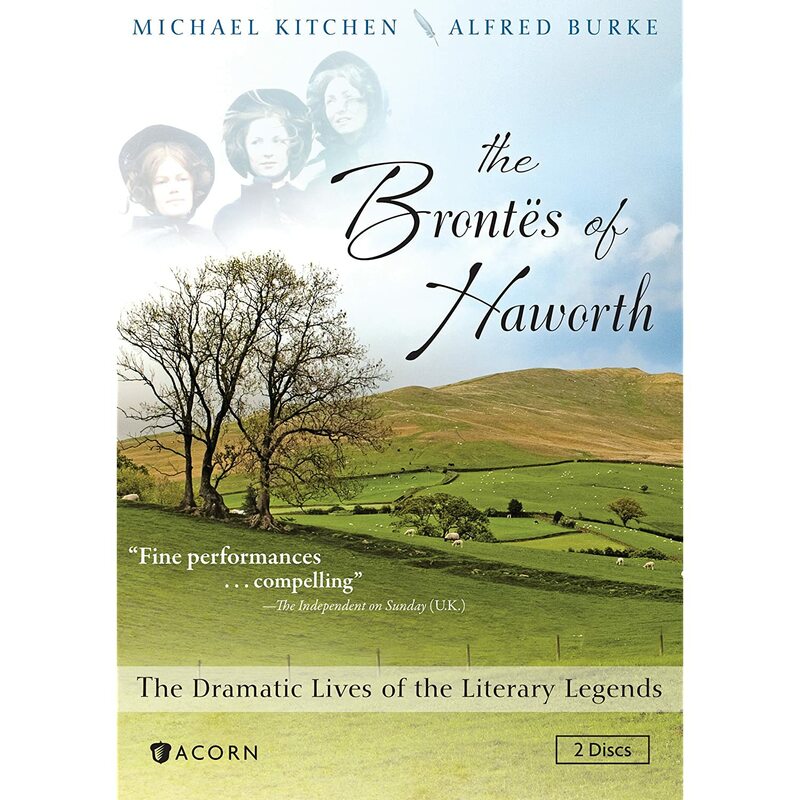 The Brontes of Haworth is an excellent set, and recommended for fans of the Brontes, not to mention those who enjoy timeless British television.